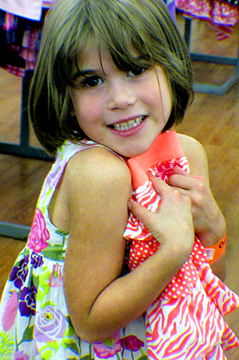 Operation School Bell provides elementary and middle school students a shopping experience for brand new clothing. The children leave with a huge bag of new clothes, wide grins and a renewed sense of confidence. Washoe County School District personnel identify the students at the individual schools and submit the list to the Operation School Bell committee. Students attend a scheduled shopping event with their parents or guardians at the retail store closest to the school. The event happens after school so the students do not miss valuable school time. When students check in, they receive a wristband and a list of appropriate items to purchase. Assistance League member volunteers work at the event, assisting at check in, adding up merchandise, and helping with check out and bagging. At the checkout stand, students receive a grooming kit. 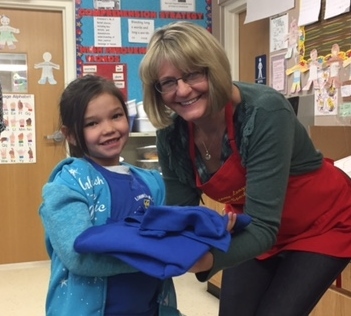 Since Operation School Bell started in 1984, approximately 63,000 children have been dressed under this program. In FYE 2017, Operation School Bell celebrated its 32nd year of operation in the Reno-Sparks community. Beginning in September, 32 volunteer-staffed events were scheduled at local Walmart locations in Reno, Sparks and Fernley. 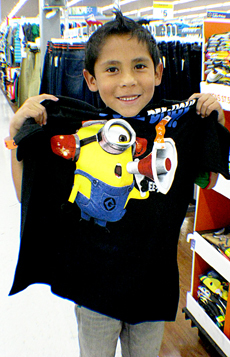 Operation School Bell clothed close to 3,000 students at an average cost of $97 per student shopper. 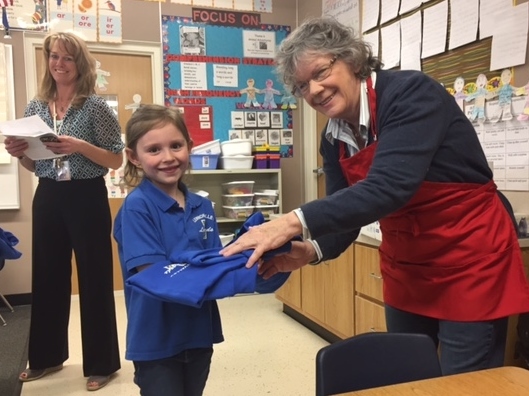 Additionally, all students at seven elementary schools were provided required uniform shirts thanks to a very generous grant from a local foundation. Please help us dress our children for a quality educational experience. Note: Your online payment — by credit card or from an existing PayPal account — is processed securely with PayPal. You may change “quantity” to have your donation dress more than one child. quality of life in Washoe County. Monday - Saturday: 10:00 a.m. to 4:00 p.m.